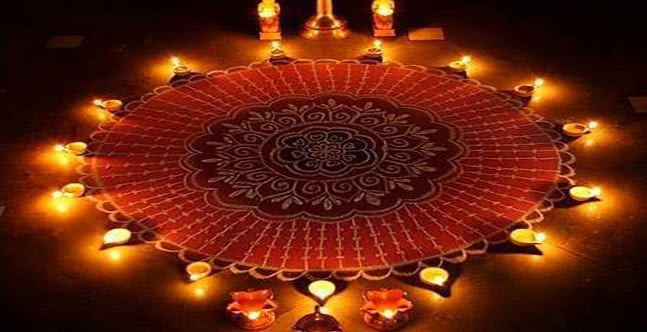 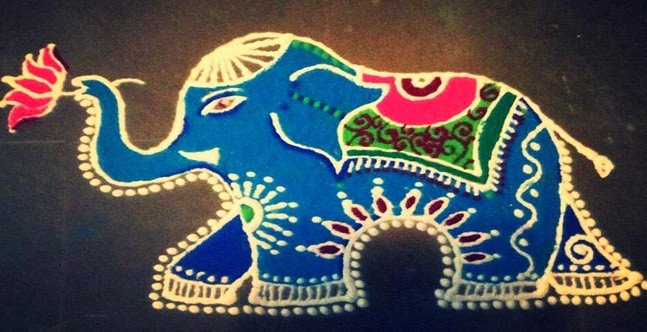 Decorated with Diya for Diwali Celebration! 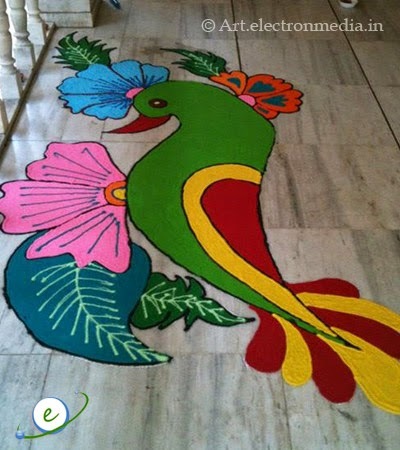 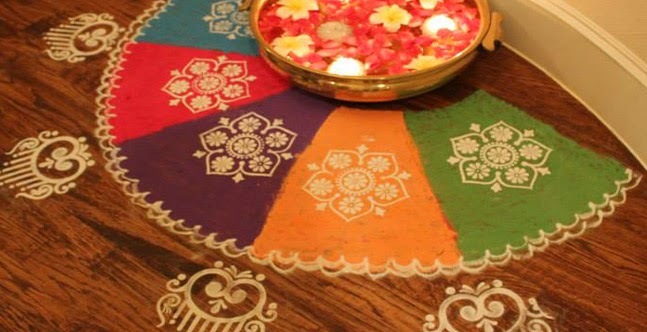 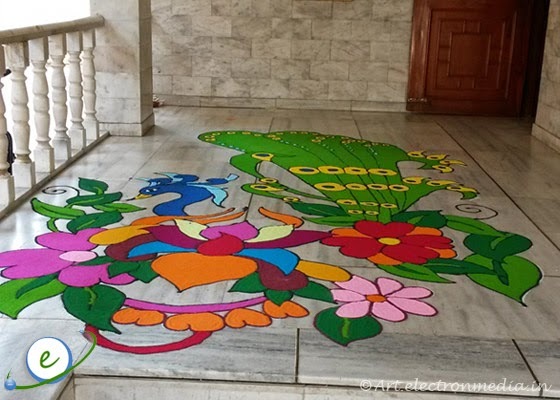 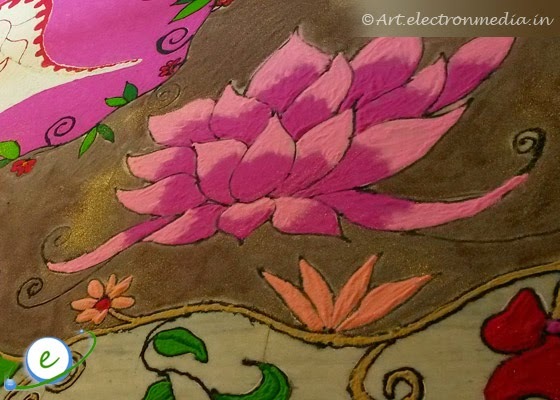 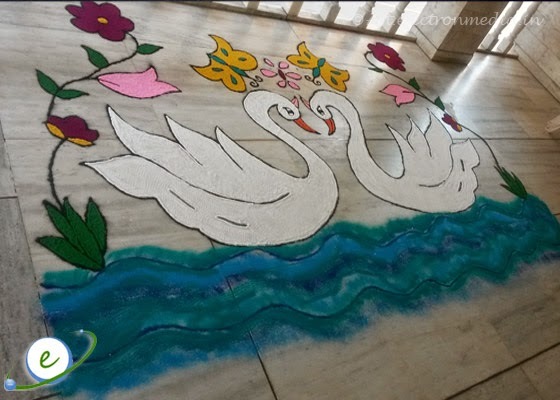 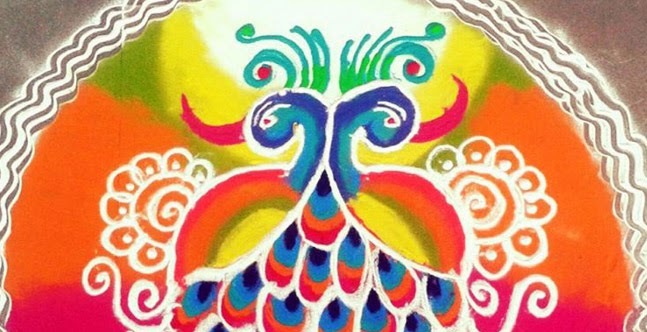 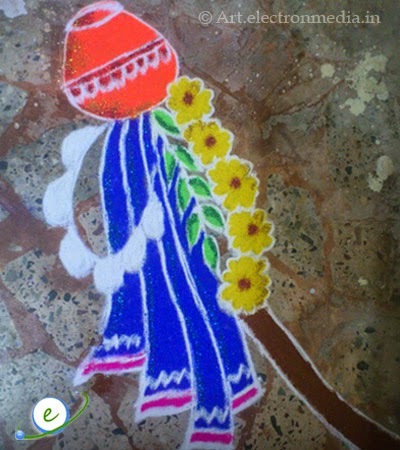 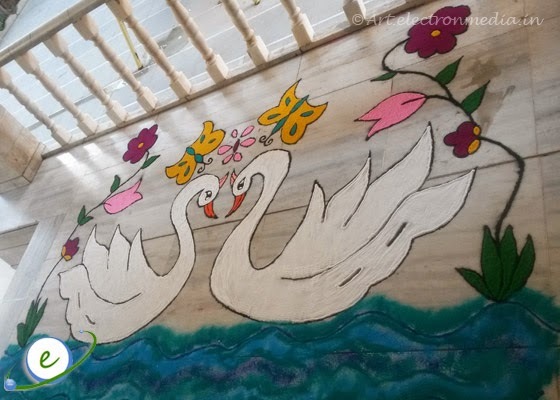 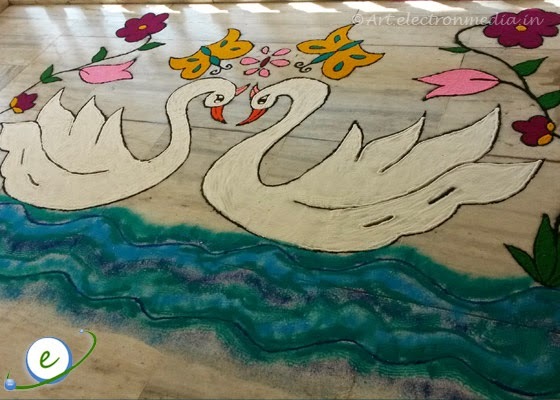 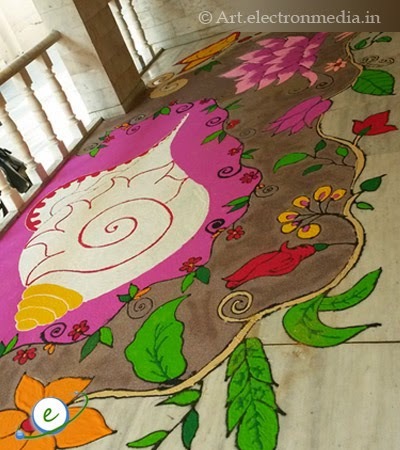 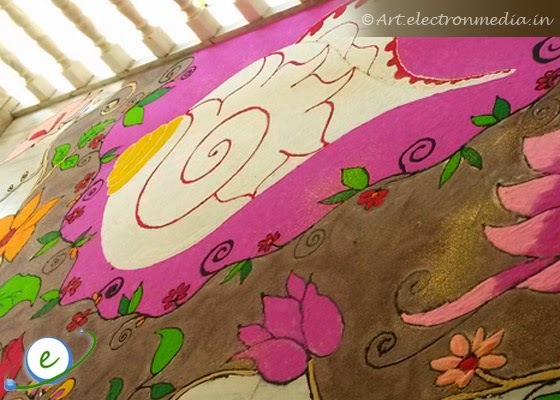 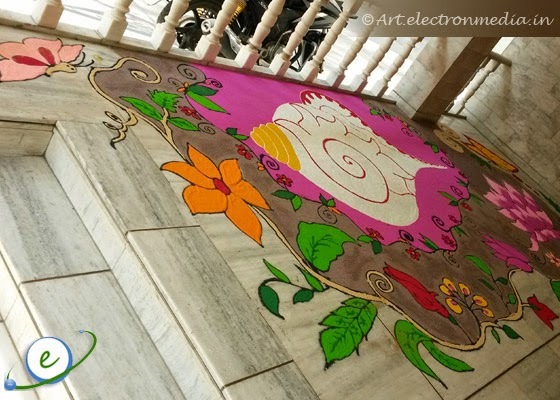 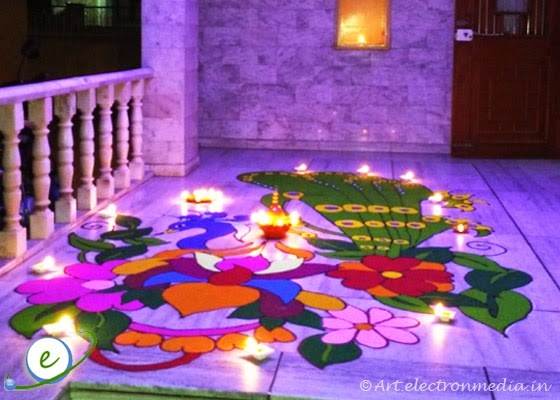 Peacock Rangoli for Diwali Festival! 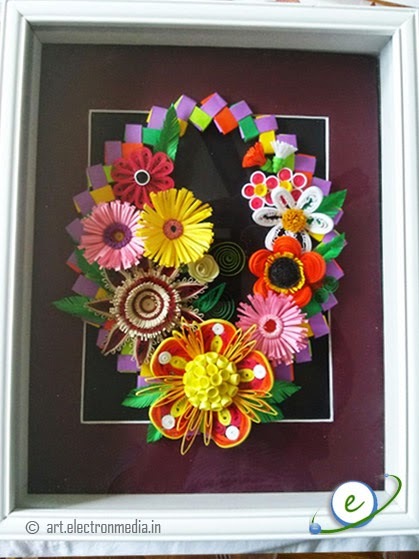 One of my friend, quilling for years out of enthusiasm and you can see her creativity in following frames. 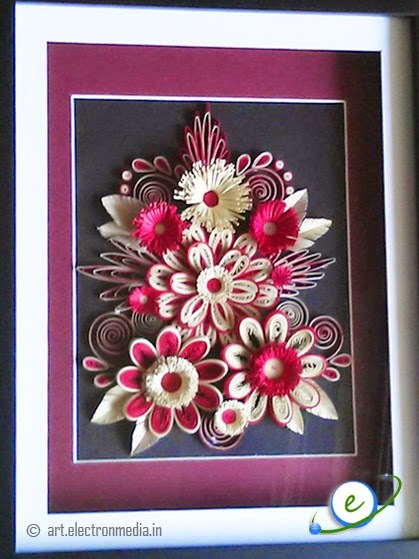 She will create the quilling frames exact to your specifications, size and design patterns. 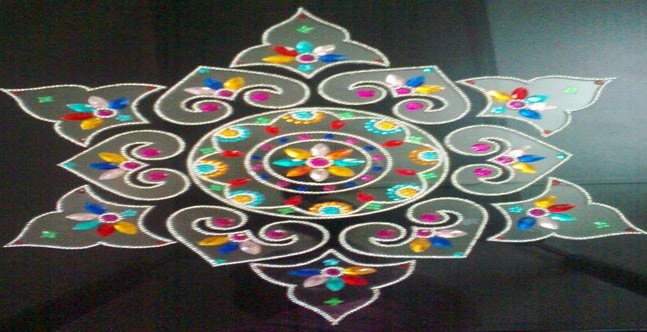 If you are interested to order, do drop a line to her mail id: ramasuresh99@yahoo.com or contact number: +1-215-485-3426 for more details. 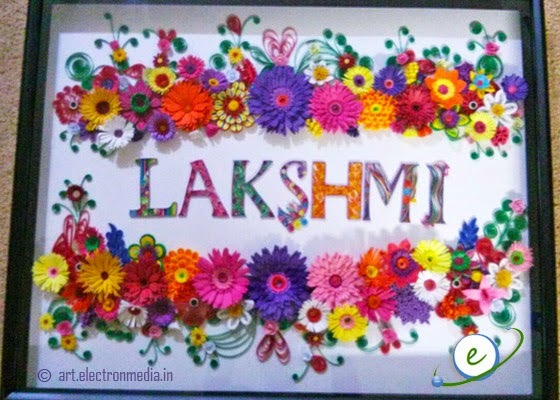 Base picture below is a cut out from wedding invitation and decorated with quilling flowers in bright and contrast color to pop out the image and created a beautiful semi circular arch to give more depth to the design. 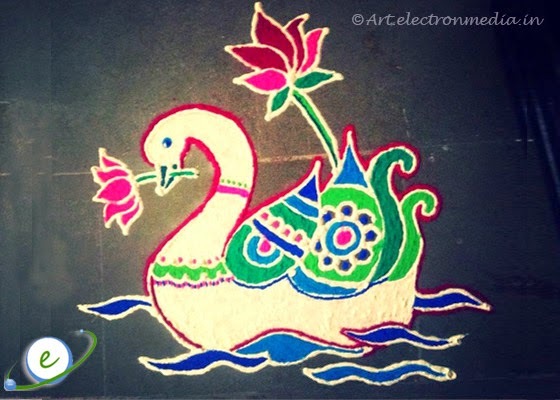 Simple picture turned out into amazing masterpiece. 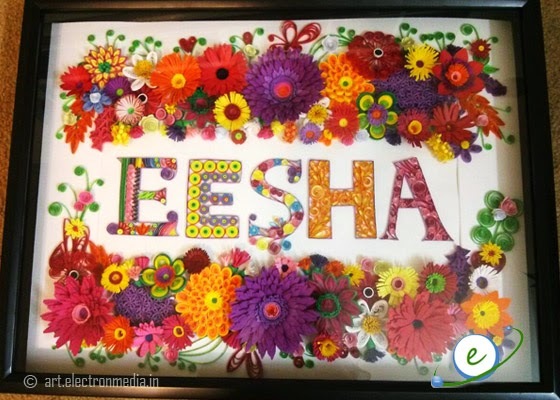 Here is a beautiful and cute idea to decorate your loved ones name in a quilling design. 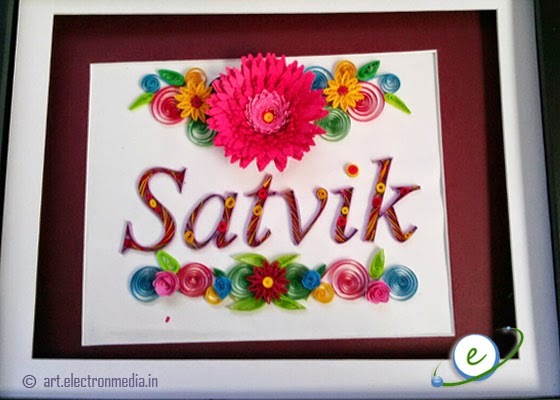 Each alphabetic letter is quilled in various sizes strip to create color scheme. 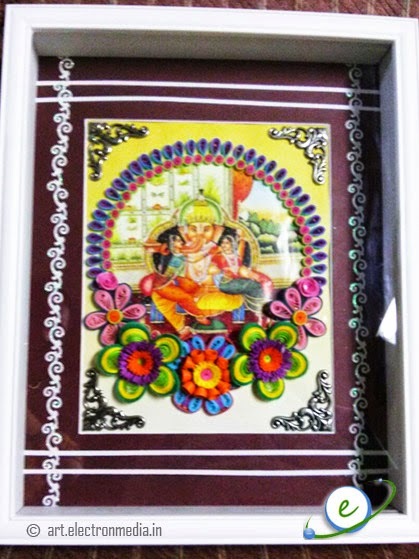 To improve more attraction to the frame, added with bunch of quilled flowers. 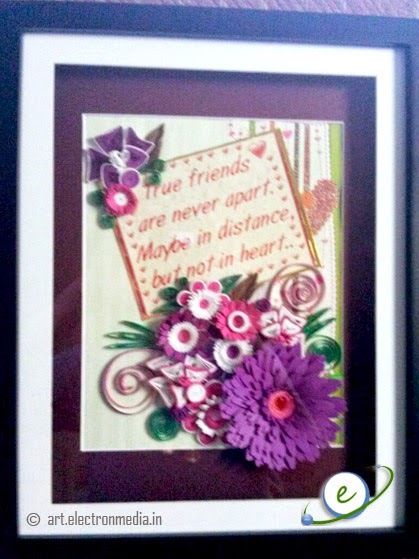 A gift of this kind will be cherished forever.